Northern Parade Schools are starting an exciting new expansion plan to transform them into a state of the art place of learning, with the capacity to have 4-Form entry. The works comprised of the construction of a new pre-school, which is made up of a steel frame with timber infill panels. The school also features brick, render and timber facings. 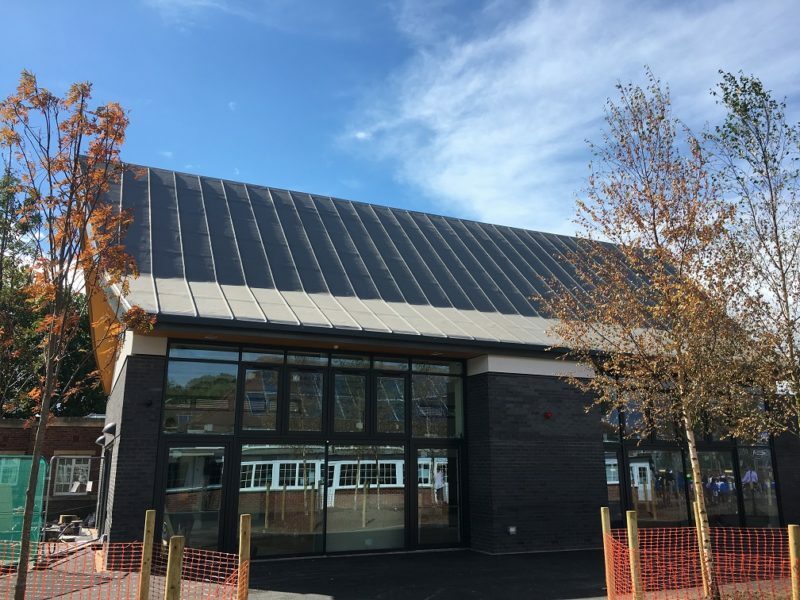 External works included a new timber canopy to the front elevation of the existing Children’s Centre, a new play area for the centre and a complete re-configuration of the playground area for the pre-school. The works also included upgrading the fencing and security measure to the play areas, with specialist external carpets, timber sleeper arrangements and planting; a vibrant and safe external environment was produced for the children to enjoy. The phase 1 of the project took six months to complete and was handed back to the school in time for the new Easter term. Liaising with Portsmouth City Council, Southern Flat & Pitched Roofing and IKO Polymeric worked together for the roofing project of this new exciting expansion plans. The project spec required a steeply pitched roof at 45°, levelling out at eaves to approx. 35°. Aesthetics were key criteria for this project and excellent standard of workmanship was needed in order to minimise the effect of ghosting through of insulation boards. The client, Portsmouth City Council, originally requested for a standing seam metal roof which was too expensive and difficult to form. As a more economic option, IKO Polymeric offered PVC standing seam profiles in slate grey. Images of the standing seam profile were sent to Portsmouth City Council for information prior to any decisions being taken. IKO Polymeric’s PVC standing seam profiles in slate grey provided a perfect solution as they gave the roof the desired zinc effect whilst also keeping the cost down. Thanks to their flexibility, they were also easy to install. 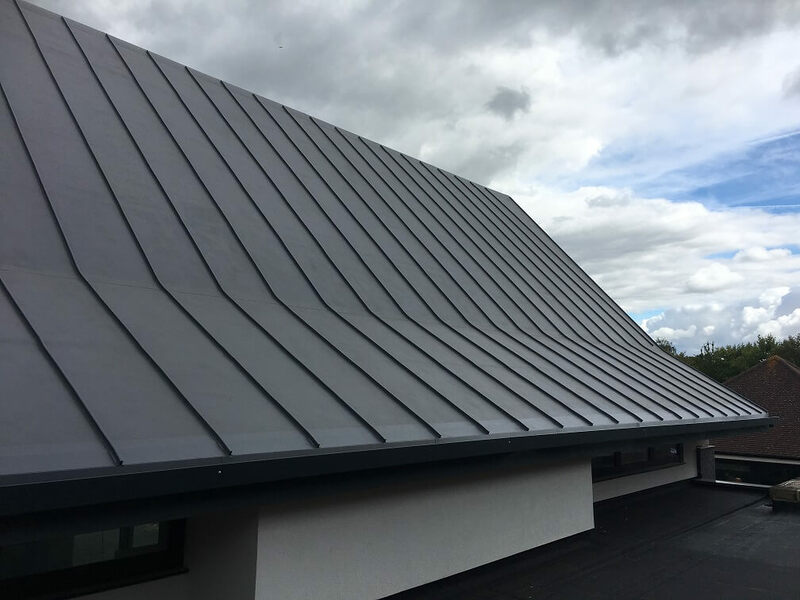 Southern Flat and Pitched Roofing demonstrated excellent workmanship throughout the project ensuring that a crisp building line is maintained on the external facades with the standing seam effect. The membrane choice for this project was IKO Armourplan PSG which is a unique product to IKO Polymeric. With its superior reinforcement and the use of premium quality PVC throughout, the membrane’s unique formulation provides ease of installation. 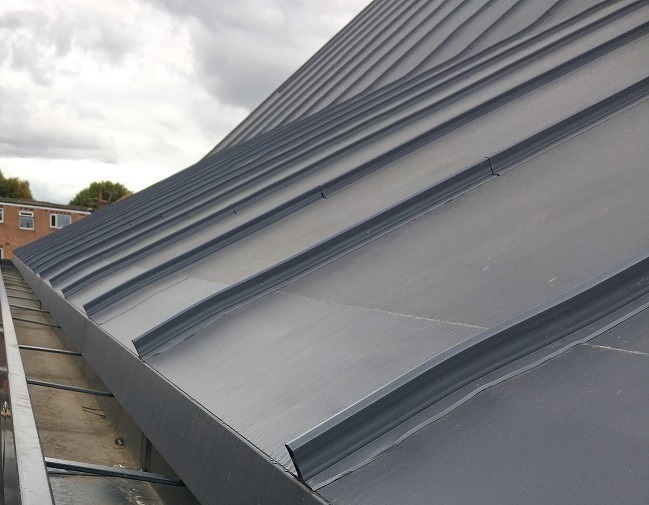 The extra flexibility of the membrane helped the installers of Southern Flat and Pitched Roofing to achieve the desired tight and crisp details on the standing seams.